The leaves are ground cuttings that rise up in green roofs, as driven by the wind. They host an all day open restaurant with outdoor and indoor space; a bar totally open to nature; a large multi-purpose space where host all day and night entertainments. Around a square, three poles show their inner and are linked each other through paths and visual levels. 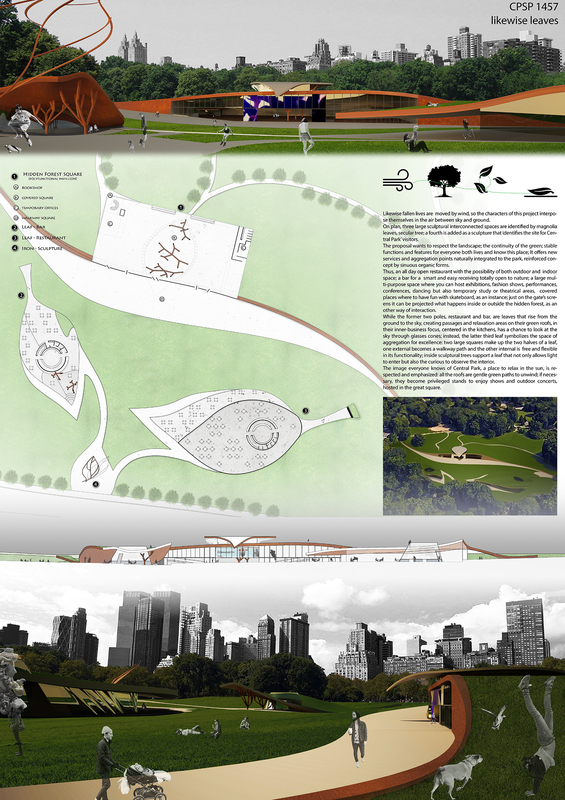 The proposal wants to respect the landscape; the continuity of the green; the widespread idea of relaxing on the grass.